As a business owner, you need a marketing agency that will not only work hard for you, but will treat you like you’re their only client. Prime Media Consulting are marketing experts offering the very best products and services for small and medium size businesses to help you keep growing your business. We offer Search Engine Optimization (SEO), Pay Per Click (PPC), Web Design & Print Design, Social Media, Sales Management and Consulting services that attracts and engages your prospects and clients. Yes we build amazing custom websites, but it is our goal to place your business at the top of search engines while maintaining a positive brand experience and garnering great reviews across social media platforms. We have headquarters in Chicago, IL while also having satellite offices in Orlando, FL, Brooklyn, NY and Phoenix, AZ and have worked with clients throughout the United States. Unlike many big box marketing agencies, we are able to customize our solutions to directly fit your needs. Prime Media Consulting was created to not sell you whatever we can to hit a quota or accumulate a expansive list of clients, our goal is to become an extension of your business and become your outsourced integrated marketing department. We engage our customers while creating a positive atmosphere. We want to teach the clients what and why we are doing if they are interested or just show them how we are improving their results month over month. Prime Media Consulting uses innovative web techniques and state of the art industry leading evaluation tools to research the holes in your online marketing presence, and make recommendations based on the budget and time you have available to fix them. We love to keep current with the latest changes and strategies in technology in order to provide cutting edge marketing solutions that puts you above your competition. While maneuvering through the ever changing digital landscape, our goals will be to find out how users are experiencing your business and brand and discuss ways to engage them throughout the process. We are experts at driving local leads to your business and help you make your impression on the web. 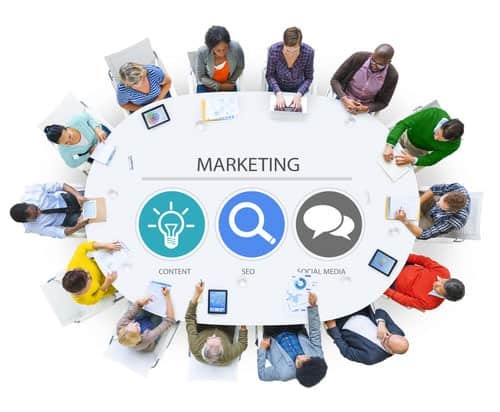 As an SEO Agency serving the Chicago IL, Orlando FL and Phoenix AZ marketplace, we can help you manage your monthly marketing budget across all digital platforms (PPC, SEO, Website, Social Media) and help manage what marketing efforts are working and where the “waste” is. We genuinely care about the success of every business that we work with. But we also understand our scope in providing custom online marketing solutions to our companies. If we don’t believe that we can provide significant value to your company, we will recommend other agencies who can. We have noticed that local small and medium size businesses like our Marketing and Consulting approach because we find non-intrusive ways to interact with clients and we try to best understand what they are looking for at budgets they can afford. At Prime Media, you get a dedicated marketing consultant and a team ready to work for you. We use the major platforms like Google, Yahoo, Bing, Facebook to generate the best possible results for our clients.